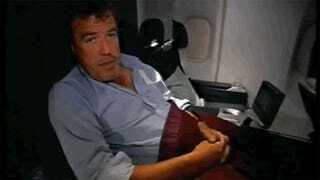 Jeremy Clarkson would like to fly with British Airways from London to Nice on his way to Monaco. It's not happening due to health and safety people. Annoyed Clarkson delivers. Get a jet, old man!